COMPLETE Missing data. 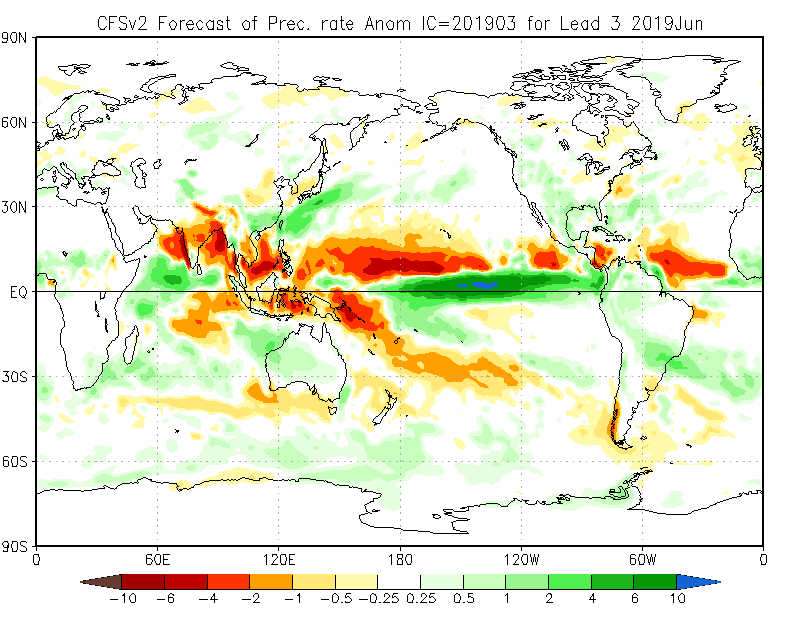 India Met Office IMO See monthly graphics from WMO for South Africa Weather Service (SAWS) LRF, Japan JMA. 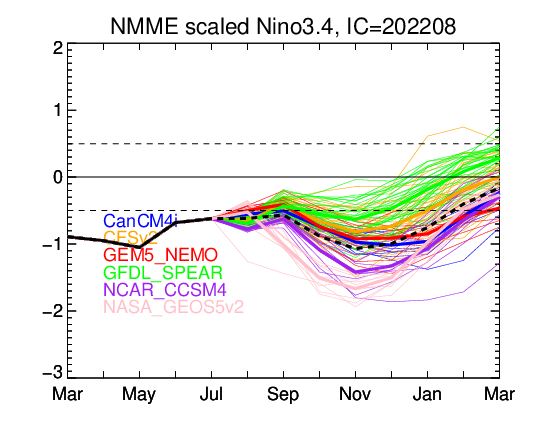 Nino 3.4 (plots as available): CFS2 updated daily. NMME Nino 3.4. 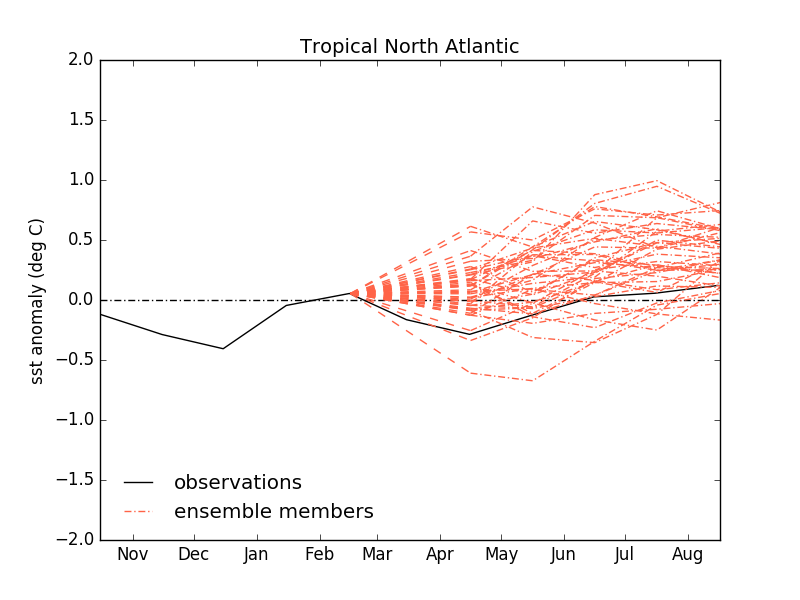 UKMO Tropical N Atlantic plot and NAO. Click image for details. 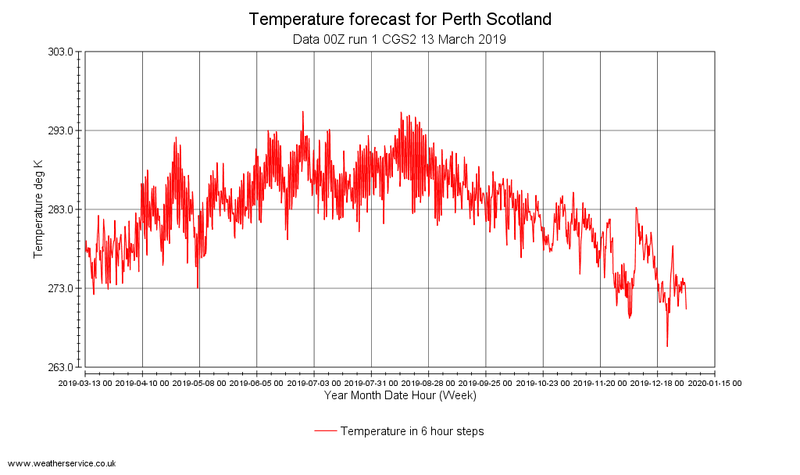 Summary - 15 March 2019 - Above normal temperatures and wetter start then drier than average end to season. 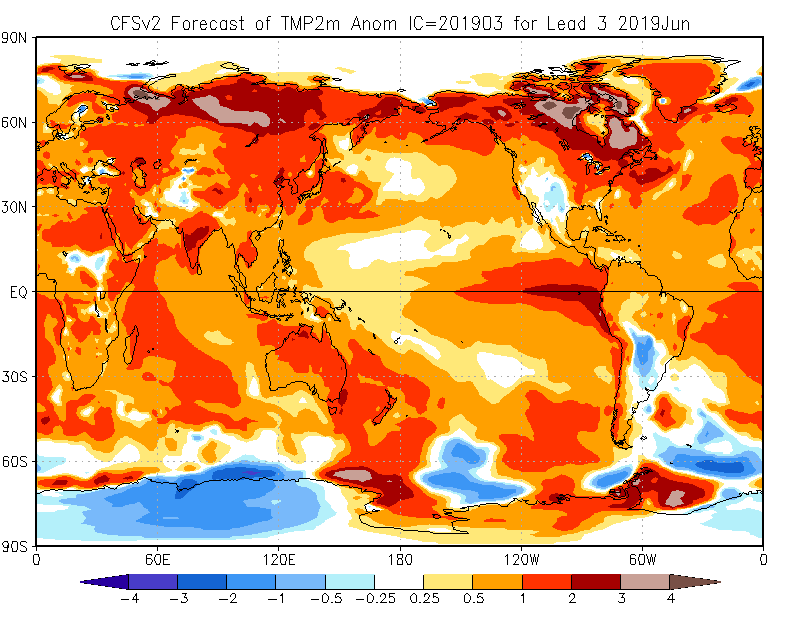 Temperature - Moscow below normal with Melborne and Pretoria models showing normal with a hint of below normal temperatures but the vast majority of solutions show above normal temperatures monthly and for the season. There is a hint that the north may be neaer normal and that May might have slightly lower anomalies than other months. 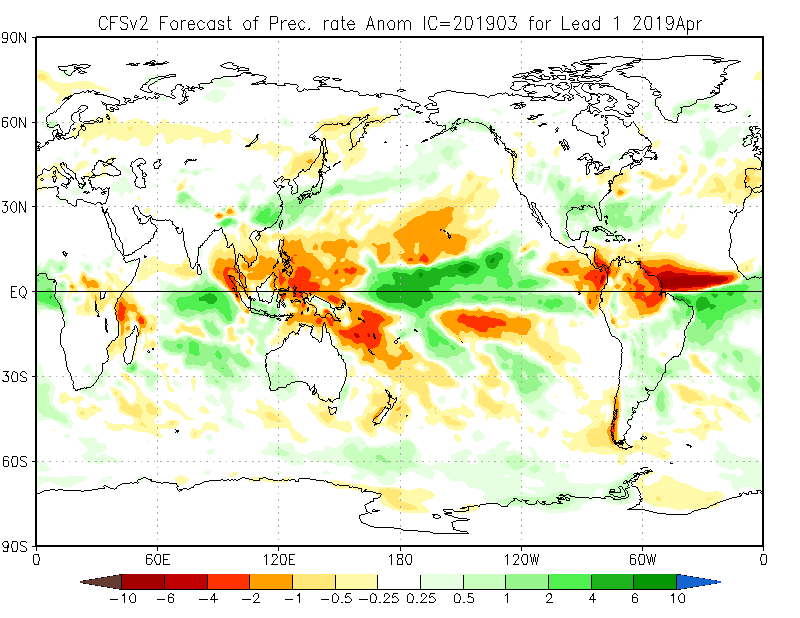 Precipitation - Not a consistent indication from the models but majority support for wetter start and drier end to the season, possibly with the wetter weather in the W in April, N in May and then generally drier than average for June. 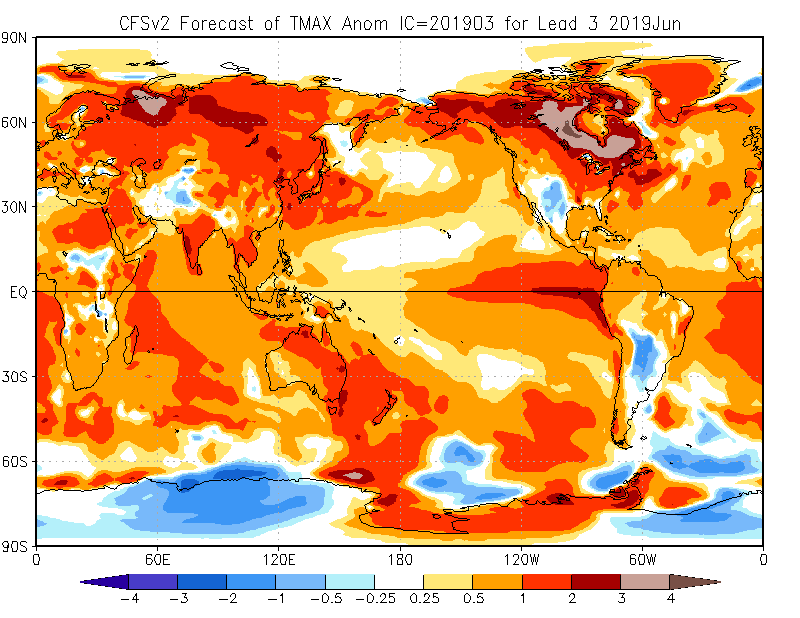 Moscow and Melborne are wetter, especially in the S of UK throught, and UKMO Exeter suggests wetter June in S half of UK but normal to drier overall for the season. 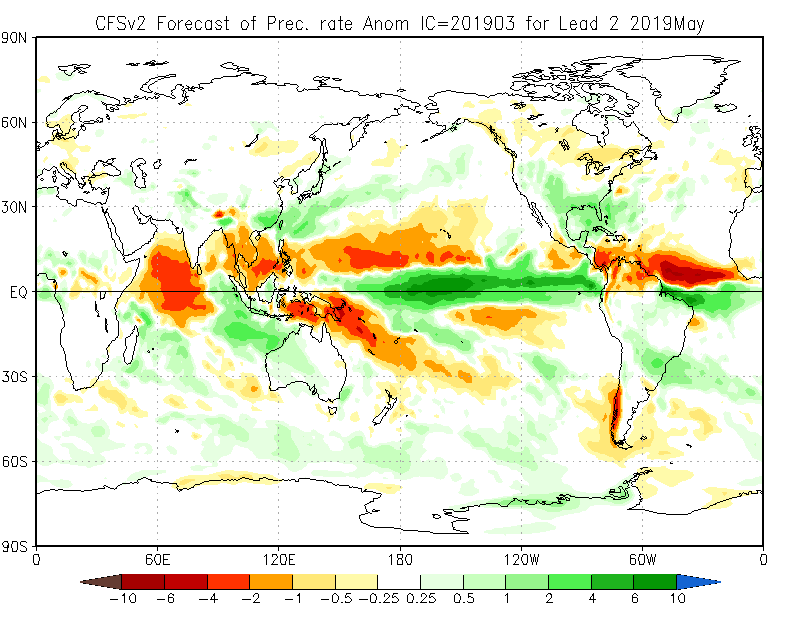 NCEP Mean of 40 runs over preceding 10 days. 100KM resolution output. Anomalies wrt 1999-2010 hindcast climatology. 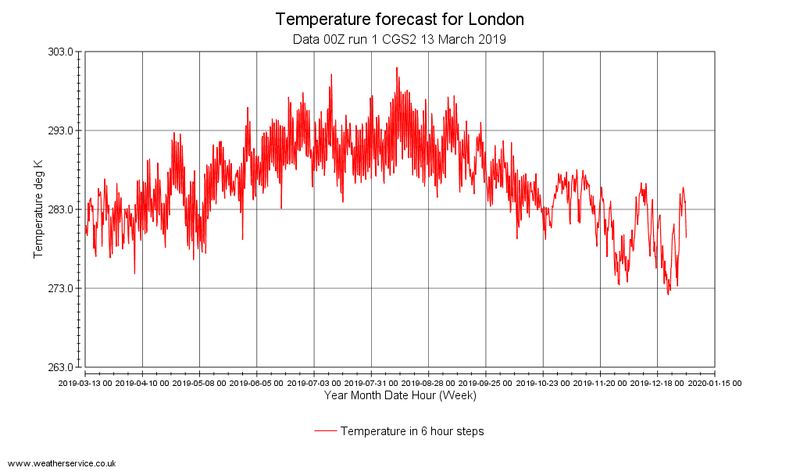 (Normal is +/-0.5C from model hindcast mean). 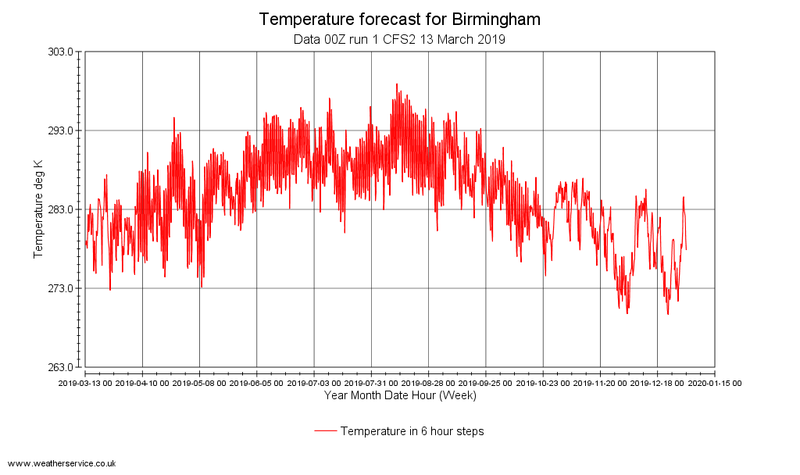 TEMP: Season: above normal but normal in parts of Midlands. 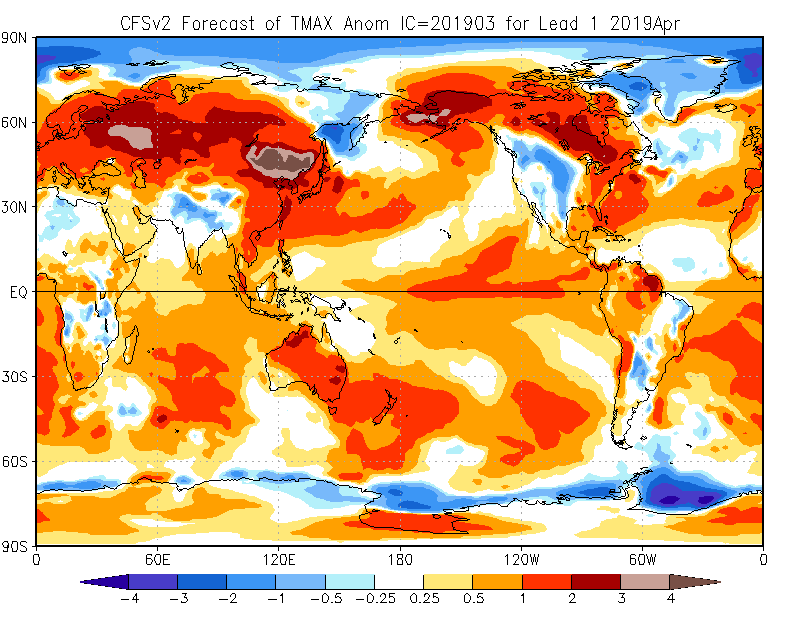 USA - NCEP CFS2 - 120319 - ignoring suspect colder area NE England. 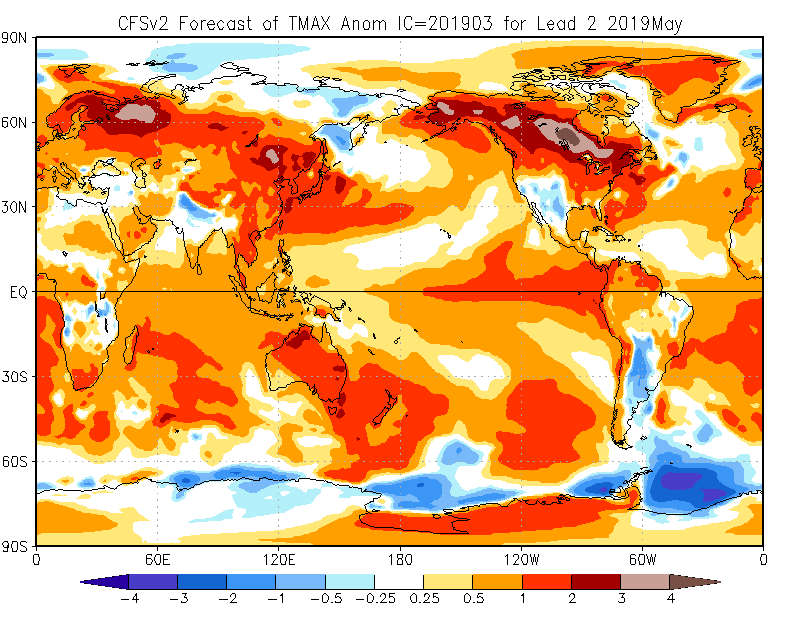 April: Above normal most likely. 1 cluster near normal two above normal, ditribution shifted towards above normal. April: near or slightly below normal most likely however sig cluster just above normal. 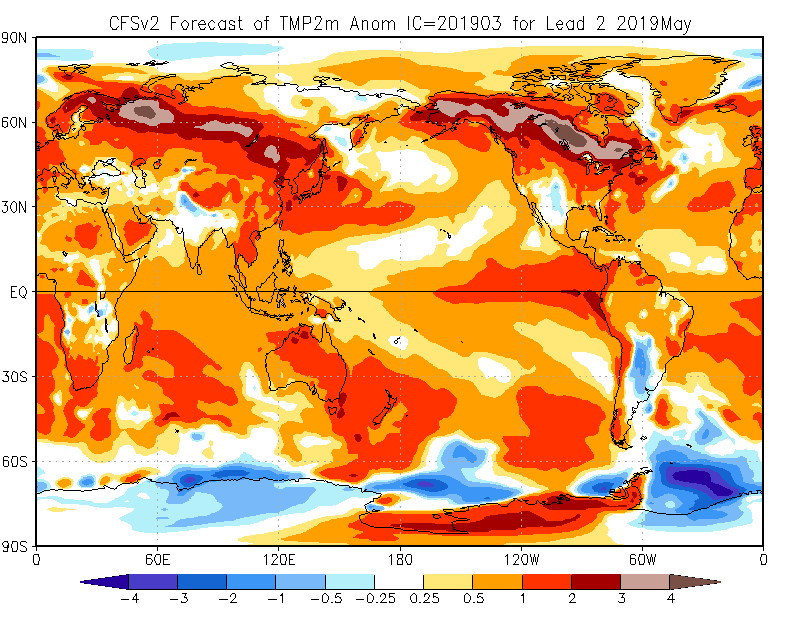 Season: slightly below normal most likely. Two clusters one either side of normal slightly favouring the below normal option solution. From APRIL 2017 output based on recalibrated NMME. Temp: E Eire, Wales and southern two thirds of England above normal elsewhere no signal. 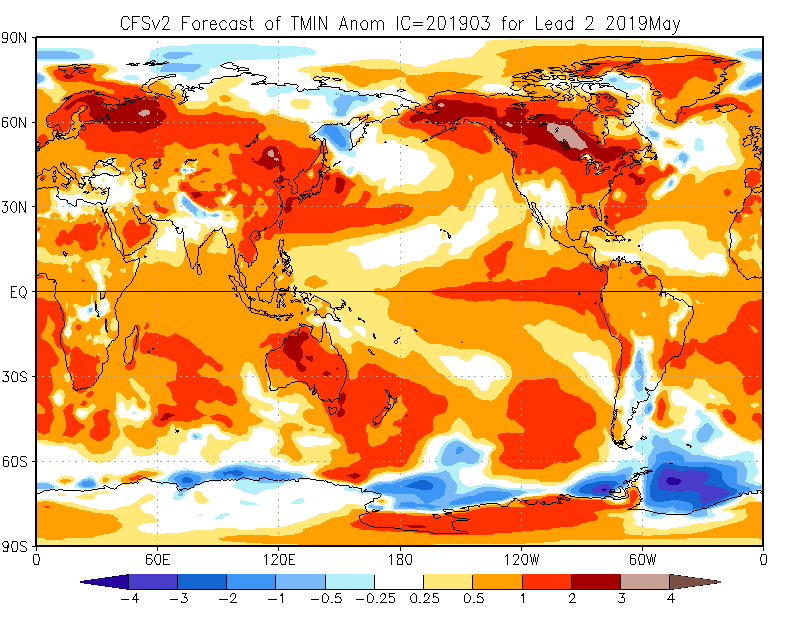 Mean anomaly near normal (+/-0.2C). Tercile signal. (UT/MT/LT= upper/middle/lower tercile). 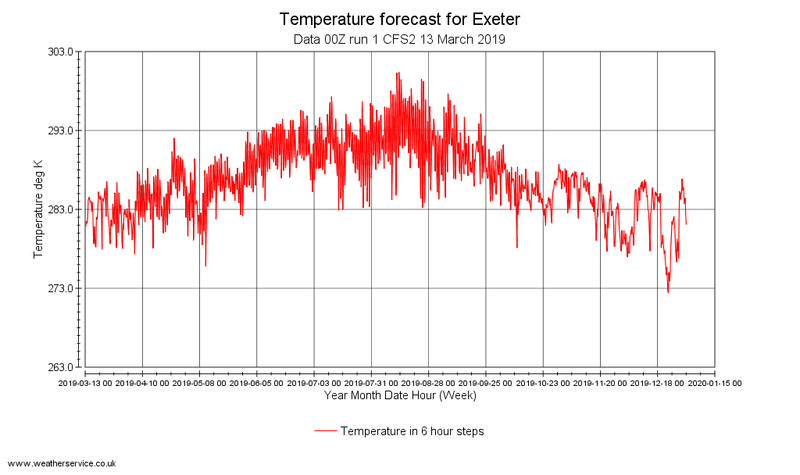 PPN : North half UK and SW England below elsewhere normal. Chance well below away from S.
BCC China BCC CSM1.1m Second generation coupled model. 24 memebers. Atmospheric component is BCC_AGCM2.2 at T106 horizontal resolution (about 1 degree) and 26 vertical layer. PPN rate: S England below normal elsewhere normal. 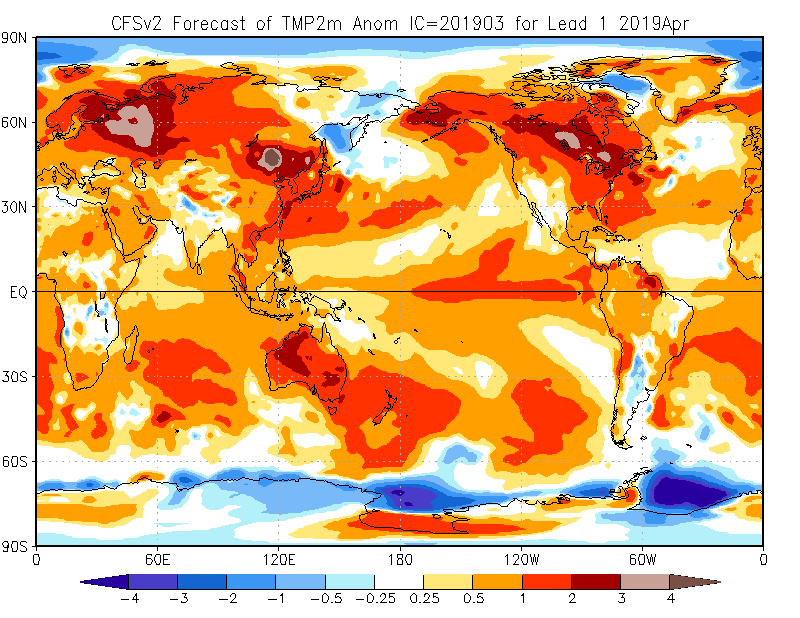 4 out of 7 models below normal in S, 1 (NASA) above normal otherwise normal.